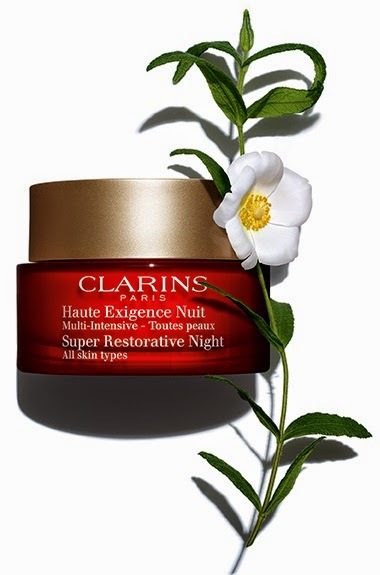 Clarins have re-launched their re-worked Super Restorative Night moisturising cream. This is one for more mature skin (Clarins target the Fifty+ And Fabulous group! ), or skin that has suffered hormonal changes. If that's you, step this way! The re-boot of the moisturiser features the organic plant extract Montpellier rock rose, which claims to help target the reduction of dark spots linked to ageing (particularly following hormonal changes), assisting with a return to a more even complexion. Ingredients-wise, this features all responsibly and ethically farmed plant-based ingredients, including shea butter and hyaluronic acid, for moisurisation and skin-plumping, and harungana extract (which stimulates collagen production in the skin - supposedly this extract is even more powerful than Retinol for this purpose). Like most Clarins products, scent plays an important role in the product, and this one has the soothing, calming night-time scents of jasmine, rose, violet and peach on a vanilla base. This has a corresponding day cream and there's also a version for super dry skin. 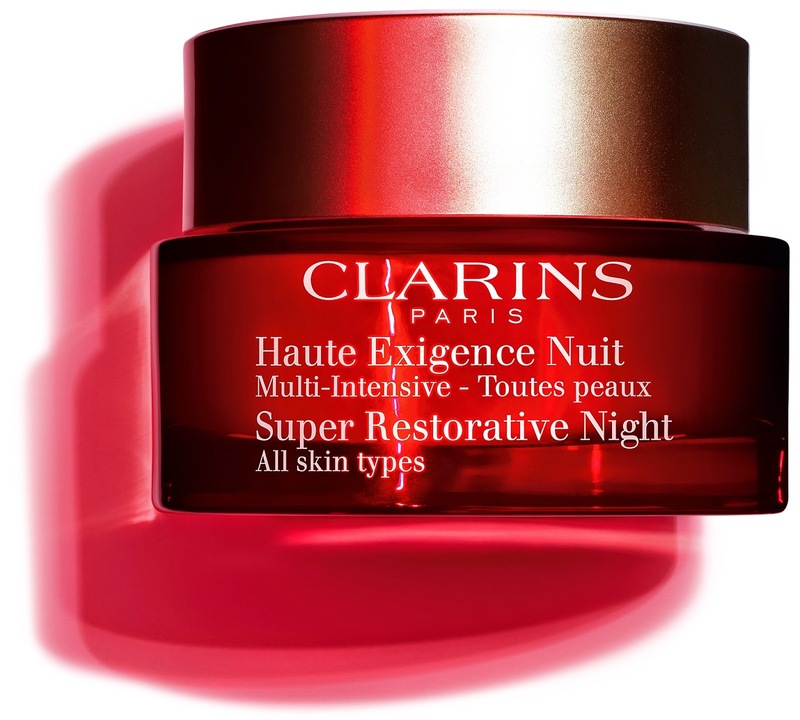 This is a big hitter from Clarins (then again, big hitters are what we need as we age, unfortunately) and carries a corresponding price tag (€94). It will be available from all Clarins stockists from mid September.